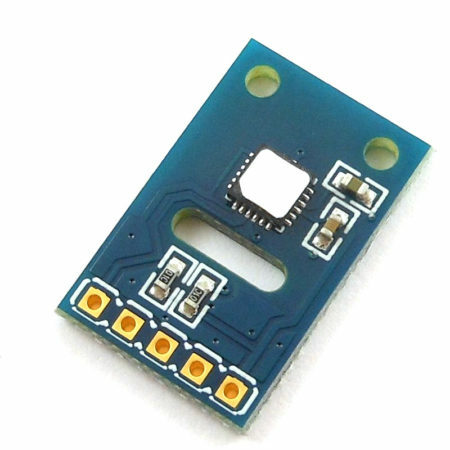 Full-duplex RS485/422 breakout board for the ISL32433 transceiver IC from Intersil. 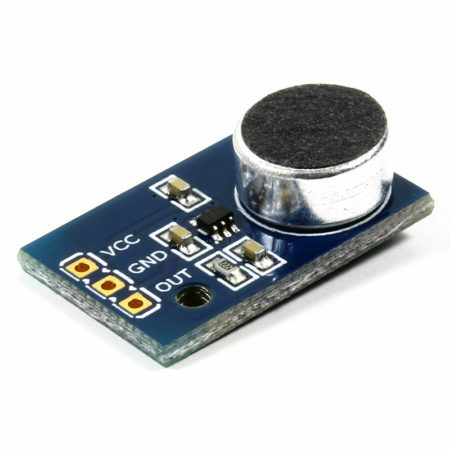 This version includes two x2 screw terminals. 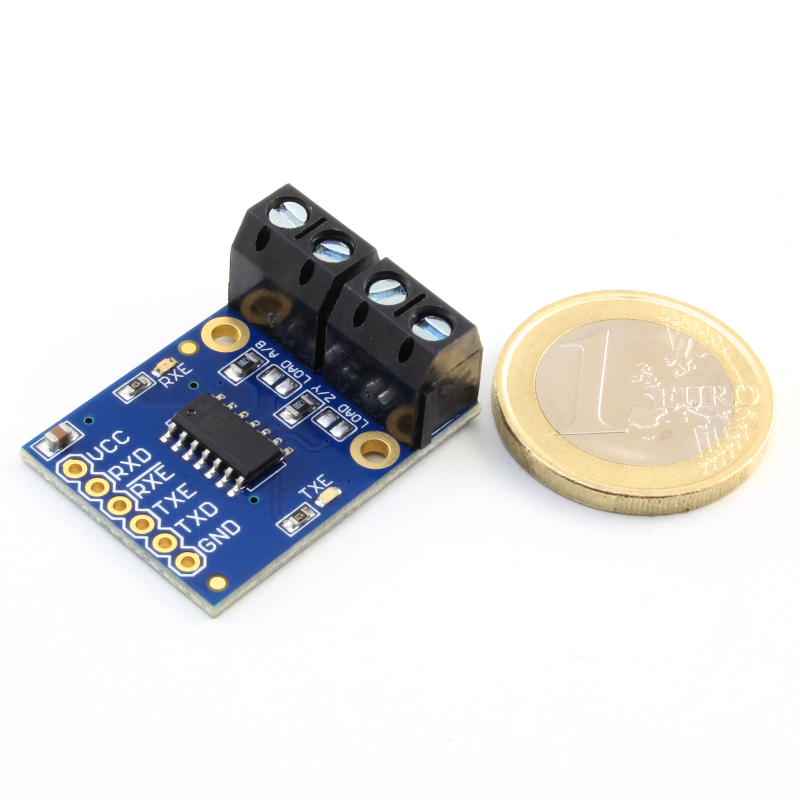 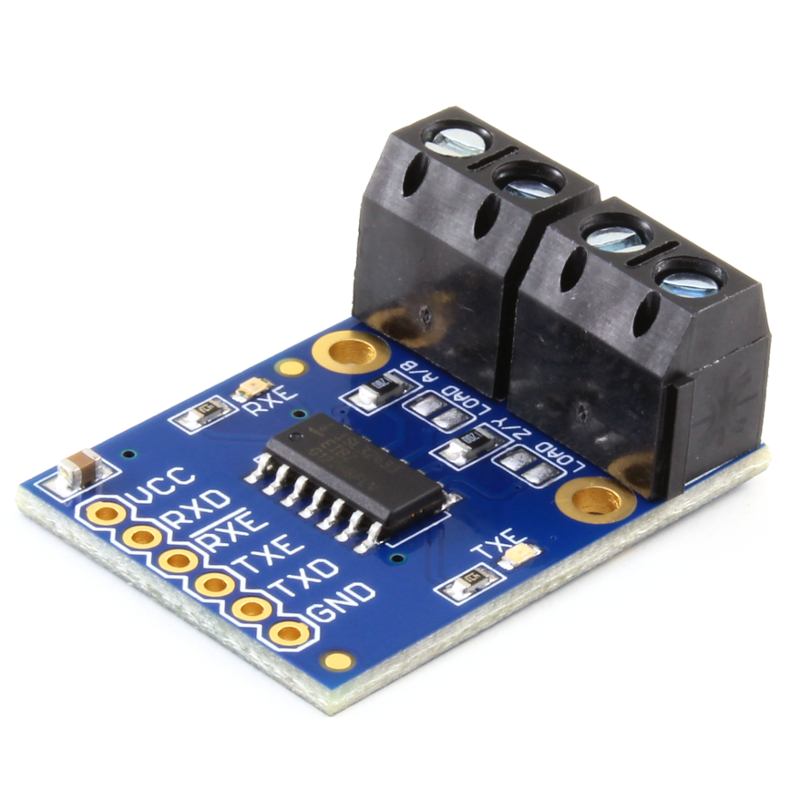 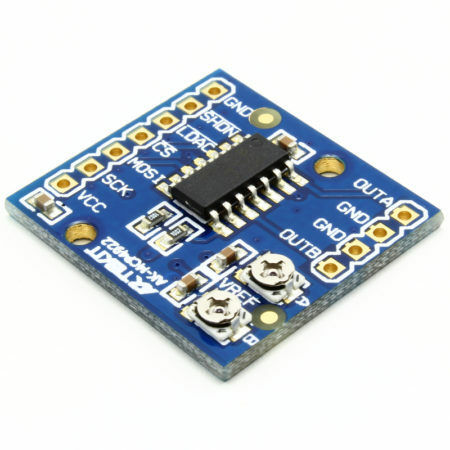 The board can be powered-up from 3V up to 5V. 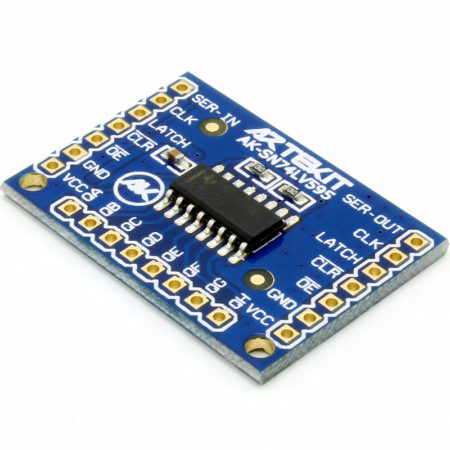 It comes with the ISL32433 and all the required components. 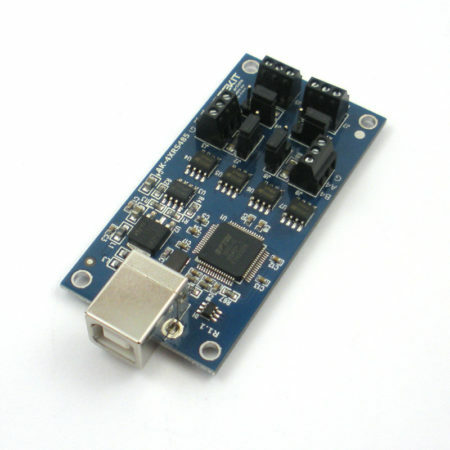 It has two solder jumpers to enable the on-board 120 Ohm terminator resistors for each line. 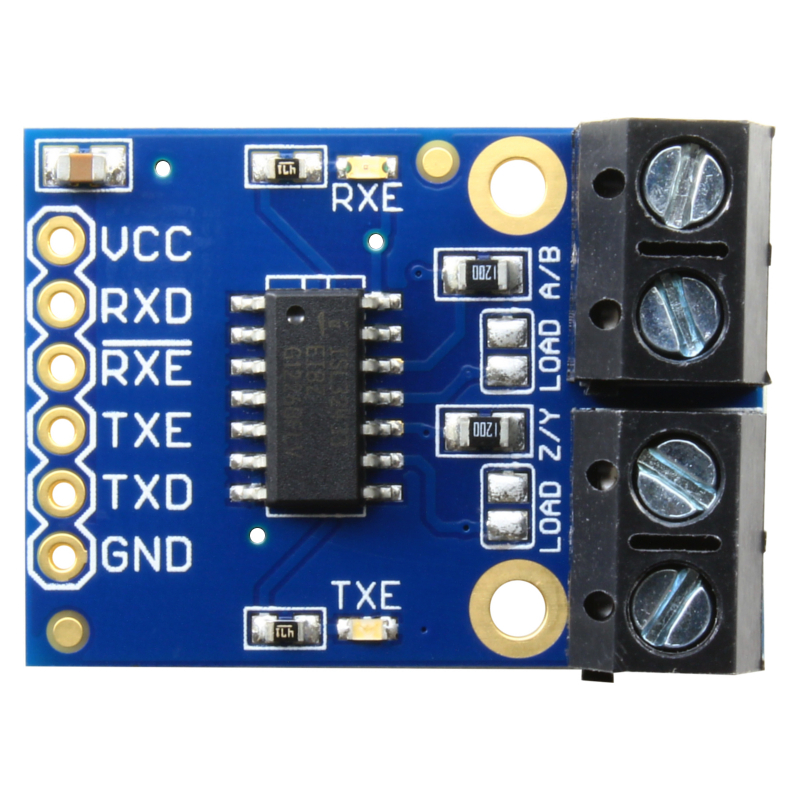 Two LEDs indicate whenever the transmitter and/or receiver are enabled. 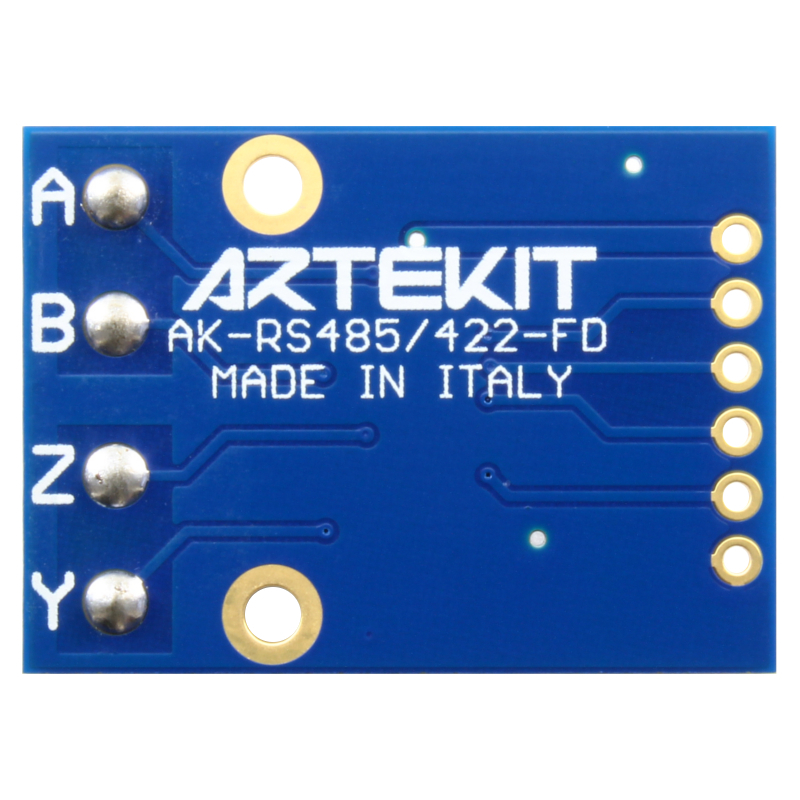 This is the AK-RS485/422-FD board version that includes two screw terminals already soldered in. 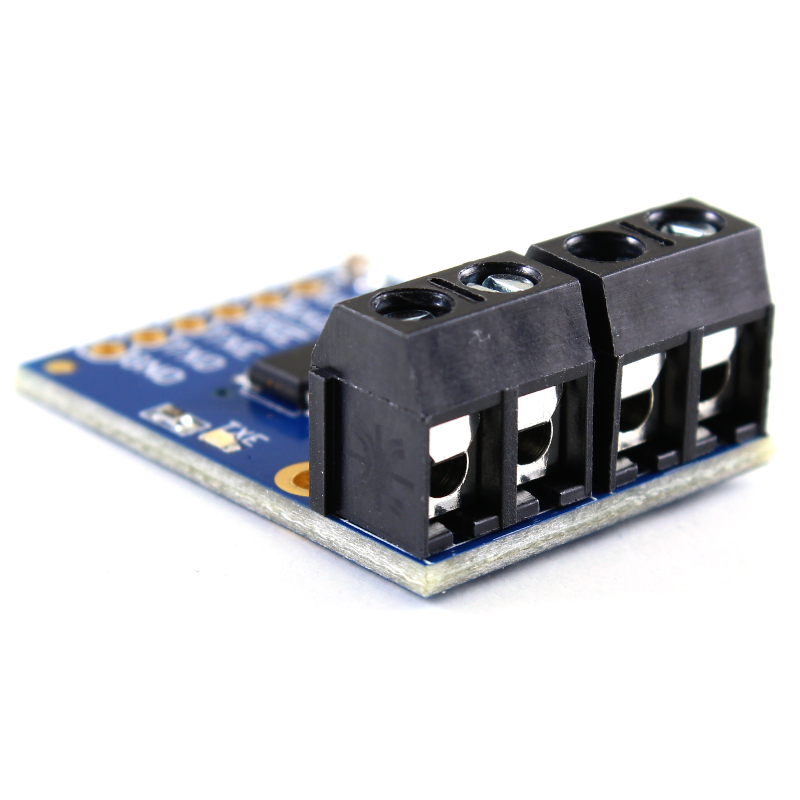 We also ship this board without the screw terminals in place.